Now The Mood Gallery have beautiful Christmas wreaths. Hand made using fresh thuja and fir foliage and indivdually decorated with ribbon, red berries, orange, cinnamon, apples, cloves, beads and cones. 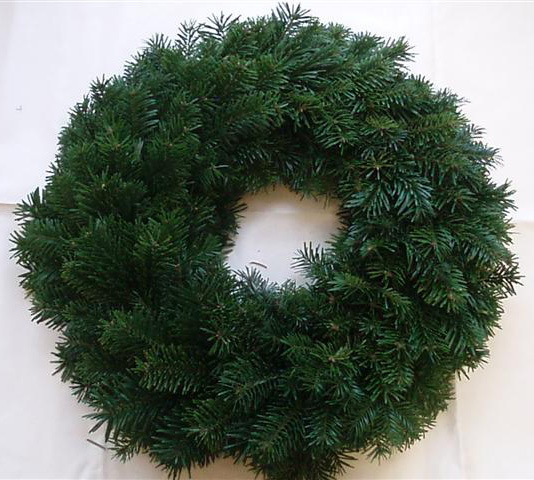 The finished wreath measures approximately 37cm (14") in diameter. Hanging this wreath on your door will give a wonderful welcome to family, friends and neighbours when they come to visit. The Festive wreath stays fresh for simply ages.